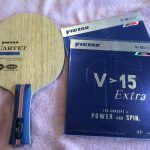 So you’re in the market for the best table tennis racket, don’t want to spend a fortune on something fancy, but want something good that’s going to give you an advantage? This guide will help you make the right choice, and offer some recommendations that are great value, and should help advance your game. 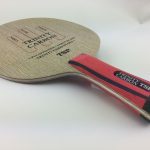 Table tennis rackets, bats or paddles – what’s the difference? The official term, as stated by the official table tennis rules, is table tennis racket. However, In Australia, and also NZ and the UK, the term table tennis bat is far more common, and generally accepted as the proper term by most of the club & competition players. Aussies tend to associated rackets with those that have strings, like tennis or badminton rackets. Not surprisingly, the term racket is common in Canada, where the International Table Tennis Federation (ITTF) used to have their headquarters. 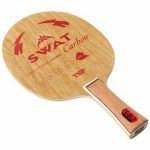 According to our friends in the USA, especially those at the recreational level, the term table tennis paddle is quite common, as they tend to associate bats with those used in baseball, and rackets as something with strings. At the competition level, bats or racket is more common. For this article, I’ll stick to the term table tennis racket, but really the other terms are certainly not inappropriate. 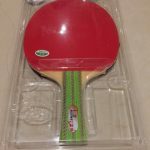 Note that in the article below, we refer to a table tennis blade and the wooden part of a table tennis racket, and table tennis rubber as the rubber that covers the surface of the blade. A Pre-made racket is one that has the rubbers glued to the blade at the factory, while a custom bat is your choice of blade & rubbers assembled at the shop. So what is the best table tennis racket? The best table tennis racket for you depends on where you play, what style of game you play and of course your level. Some social players might be quite happy with a basic pre-made racket that you find mostly at sports stores, because they just play for a bit of exercise and social aspects. Then there’s the social players that love the game, and want have all the advantages that a good custom table tennis racket can offer. Table tennis at the workplace fits in a similar category, although it can get quite competitive at times, so a good racket can make quite a difference. If you’re a junior or a developing player that’s getting coaching and practice regularly, then it’s important to get a racket that keeps up with your level, and won’t hold back your progress. Choosing the right blade is most important, as you can continue using this, and change rubbers to something faster/spinnier as your level progresses. Then there’s the players who simply don’t have time for coaching or regular practice, and they need every advantage from a racket they can get. For these players a ‘glue effect’ rubber might be a good option, as these allow you to generate more pace and spin with less effort, and most people love the feel of these rubbers. Although for some people a pre-made racket might be the only one that fits into their budget, we generally recommend a custom racket. Custom racket start in about the middle of the range of pre-made rackets, but offer much better quality and usually better performance. Pre-made racket are often also heavy and not so comfortable, but I accept that for some people they’re perfectly fine. Below you’ll find a variety of different bat requirements, the best options for every budget. Generally the more expensive options give you better quality, and often also better performance. OOAK shop covers a wide enough range to offer several options of each type of game and requirement. Although we don’t stock every brand, we stock almost all the top table tennis brands brands, and there is enough overlap of the brands, to ensure we’ve got something for every category. In this price range, Chinese brands is really the only option, but these are still good quality, and performance is very good, offering the best ‘bang for buck’. (1) Defensive style – The classic 729 FX rubber with a thin sponge (1.0mm or 1.5mm) offers great control, high spin and still some offensive potential. For super defensive, combine with the LKT Toxic 3 blade, or for something a bit more all-round, try the LKT Toxic 5 blade or the Black Whirlwind and you’ve got a great defensive setup at a low price. (2) All-Round style – The 729 FX Lightening offer good all-round potential at a low price. Combine this with a LKT Instinct or a Yinhe N-11 blade, and you’ve got decent offensive potential but enough control to play defensive strokes with high control. 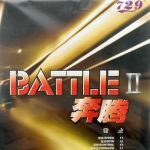 (3) Offensive style – For a fast offensive game at a low price, it’s hard to beat the 729 Focus II Snipe or the 729 Battle II, as they’re among the fastest Chinese rubbers around. Combine this with the 729 Bomb blade, and you’ve got a fast and high quality combination at a great price. In this price range, we’re looking at both Euro, Japanese and Chinese brands, which are of high quality, and still offer excellent value. (1) Defensive style – For choppers or retrievers that like to play from all ranges, it’s hard to beat the Donic Defplay Classic Senso, which has a great reputation, and offers excellent feel and control. Combined with some spinny rubbers, like the classic 729 FX rubber with a thin sponge (1.0mm or 1.5mm) offers great control, high spin and still some offensive potential. For a close-to-the-table pushing & blocking style game, the Joola Toni Hold White Spot or the Tibhar Defense Plus are outstanding choices. These can be used with long pimple on one side, such as the cheap Pogo or the high acclaimed Spinlord Dornenglanz, with a more offensive inverted rubber on the other side (or both sides), like the Donic Coppa, or the slightly more offensive Xiom Yanus DF. great control, and combine well with a wide range of rubbers, like Yasaka Mark V, or the faster TSP Regalis Blue. (3) Offensive style – For the power loopers, a faster blade like the Tibhar Stratus Power Wood, or the huge popular and slightly faster TSP Swat are excellent choices. These blades also combine really well with new and high-tech ‘glue effect’ rubbers, such as the Donic Bluestrom Z2, or the faster Victas V15 Extra, for a powerful and spinny looping combination, that still offers decent control. (1) Defensive style – For a defensive style, the Victas Koji Matsushita series are hard to beat,as they’re top quality and designed by one of the greats of table tennis defenders himself. The Victas Koji Matsushita blade, or the slightly faster carbon fiber fleece Victas Koji Matsushita Special blade is our top choice. Combined with the Victas VS 401 rubber, one of the spinniest rubbers on the market and outstanding for chopping, and you”ll have a hugely spinny choppers combination, that has enough power to play from long distance, or to punish high balls. This combination is used by Koji Matsushita himself, who still plays are high level in veteran competition. (2) All-Round style – The all-round style at the high levels is still quite fast, and more of a controlled offensive style. Our top choice is the Donic Appelgren All+ World Champion 89 blade, which is German-made premium quality, and although it does have a carbon zylon layer, control and feel is outstanding. Combine this with a modern spinny but controllable glue effect rubber, like the Donic Acuda P2, or the Tibhar Evolution EL-P, and you’ve got an excellent high spin racket, for a controlled offensive style game. (3) Offensive style – For an offensive style bat of premium quality and performance, it’s hard to go the rackets that some of the top professional players use, and are popular among the top grades at the clubs as well. The Timo Boll racket is one of the most popular, although at the high premium that Butterfly charges. This is the Timo Boll ALC blade, and the Tenergy 05 rubbers on both sides. 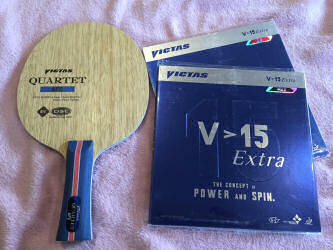 For something a little more affordable, yet of the same high quality, consider the Koki Niwa racket, which is the Victas Quartet AFC blade, with Victas V 15 extra rubbers on both sides. Find the ultimate table tennis racket or bat for your game. Unlock your potential by choosing the best racket for you, at the best price in Australia. We can tailor make just for your style. Why settle for less?